Inger Greve Alsos is leader of the Ancient DNA lab and the Research Group in Taxonomy and Biodiversity at Tromsø Museum, UiT – Arctic University of Norway (UiT). Alsos has especially focused on past and potential future distribution of arctic and subarctic plants. She has combined genetic data (AFLP fingerprinting, cpDNA sequences, and ancient DNA), species distribution modelling, and fossil data to explore dispersal routes, colonization frequencies, and long-term genetic effects of climate change. She is currently working on ancient DNA of lake sediments from N Europe and the Alps, as well as a full-genome reference library for the Norwegian and Polar flora. Michelle van der Bank received her PhD in Botany from the Rand Afrikaans University (now University of Johannesburg, South Africa) in 1996. 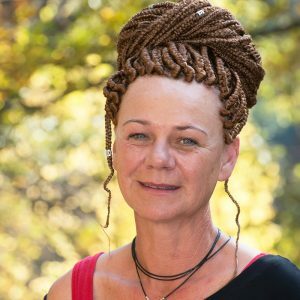 She is a Professor in Botany at the University of Johannesburg and Director of the African Centre for DNA Barcoding (ACDB). ACDB’s mission is to fill the knowledge gap and strengthen research frameworks for international, regional and inter-institutional co-operation in Africa in the field of DNA technology for biodiversity science. Her research group uses molecular phylogenetics, comparative analyses and intensive fieldwork to address questions relevant to biodiversity conservation in Africa. 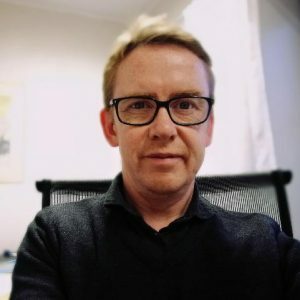 Hugo de Boer is an Associate Professor in botany at the University of Oslo, where he leads a research group in Plant Evolution and DNA metabarcoding, as well as the Scandinavian Research School in Biosystematics – ForBio, and the EU project Plant.ID on molecular identification of plants. 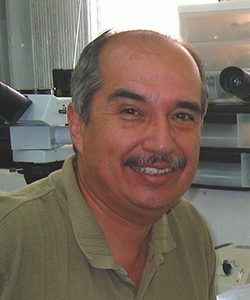 From a background in genetics and ethnobotany, he has developed a research program in molecular identification and authentication of plants of economic importance, including allergenic pollen, tropical timber, biodiversity assessments, invasive alien species, medicinal plants, plant forensics, and importantly herbal medicine products. In the last few years, he has applied DNA metabarcoding to herbal products based on Echinacea, Hypericum, and Veronica to elucidate species composition, and develop and refine methodologies for molecular authentication. 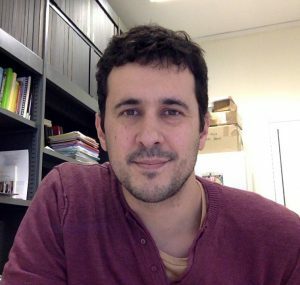 Filipe Costa is Assistant Professor at the University of Minho, Portugal, since 2008, where he leads the research group on Molecular Ecology and Biodiversity of the Centre for Molecular and Environmental Biology (CBMA). Filipe joined the Barcode of Life initiative in September 2003, serves as Portugal delegate in iBOL, and chaired the 2nd Conference of the European Consortium for the Barcode of Life (ECBOL2: 2-4 June 2010). 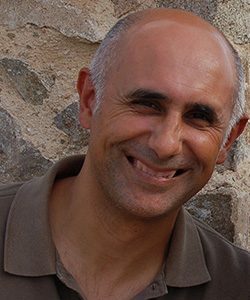 He has been principal investigator of several research grants, leading the campaign for DNA barcoding Portuguese Marine Life, and he is one of the Portuguese representatives in the management committee of the European Cost Action DNAqua-Net. Filipe’s main DNA barcoding interests concern marine life, with a particular focus on fish and crustaceans, among other major groups of marine invertebrates (e.g. Annelida and Mollusca). Recent research interests and activities concentrate on (e)DNA metabarcoding, with particular focus on estuarine and marine ecosystems, macro and meiobenthos, and zooplanktonic communitties. 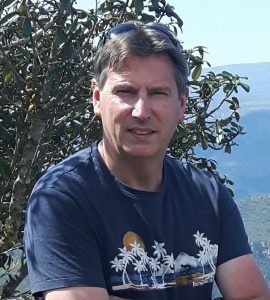 Pedro Crous is professor of evolutionary phytopathology at the Universities Wageningen and Utrecht, the Netherlands, where he is presently the Director of the Westerdijk Fungal Biodiversity Institute. His main research interests are fungal systematics, and the characterisation of fungal plant pathogens. To coordinate global research on fungal biodiversity he launched MycoBank, is the author of several thousand fungal taxa, and is a key role player in DNA barcoding of fungi. He is an editor or board member for numerous journals and has authored or edited several textbooks. Torbjørn Ekrem is professor of biosystematics and the Curator of Diptera, Hymenoptera, Arachnida and a few minor insect orders at the NTNU University Museum. His research interest includes evolution, systematics and biogeography, in particular of non-biting midges of the family Chironomidae (Diptera). His research focuses on taxonomy, biology, phylogeny, zoogeography and molecular systematics of genera and species of the tribe Tanytarsini, but he is also involved in work with other groups of animals and plants. The last few years he has been heavily involved in various projects testing and using DNA barcoding in biosystematics and freshwater biomonitoring. 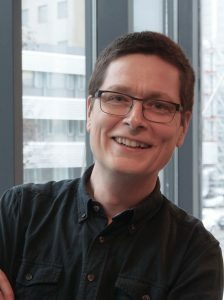 He is actively engaged in the EU COST-Action DNAqua-Net, and chair the Norwegian Barcode of Life network and project (NorBOL) with the goal of developing this initiative into a national infrastructure on DNA Barcoding. A biologist from the Facultad de Estudios Superiores Iztacala (National Autonomous University of Mexico, UNAM), graduate studies in the Escuela Nacional de Ciencias Biológicas from the National Polytechnic Institute (IPN), Mexico (Doctor in Sciences). Speciality in Lake Zooplankton in Ghent University, Belgium. During 18 years was an academician in the Faculty Iztacala (UNAM) where reached the level of Professor in Zoology. Here he was awarded the Academic Merit distinction in 1996. Later he received the best research article and best academic career in the state (Council of Science, Quintana Roo, 2011). Currently, he is a senior researcher at El Colegio de la Frontera Sur, Chetumal unit, where his primary focus of research is ecological and taxonomic studies on freshwater zooplankton using integrative taxonomy, in particular from the waterbodies from the Yucatan Peninsula. Robert Hanner is an Associate Professor at the Biodiversity Institute of Ontario and Department of Integrative Biology, University of Guelph. He received his BSc from Eastern Michigan University and PhD from the University of Oregon. He pursued postdoctoral research at the American Museum of Natural History (AMNH) and New York Botanical Garden (NYBG) before joining the AMNH as a Curatorial Associate where he spearheading the development of their Ambrose Monell Cryo Collection for Molecular and Microbial Research. Robert then served as Scientific Director of the Coriell Cell Repositories at the Coriell Institute of Medical Research and also served as president of the International Society for Biological and Environmental Repositories (ISBER). 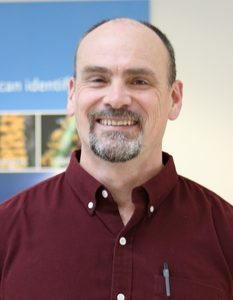 He is a member of the Consortium for the Barcode of Life’s Implementation Board, serves as coordinator for the Fish Barcode of Life (FISH-BOL) Campaign, and is the North American Node Representative to the Global Biodiversity Information Facility (GBIF). 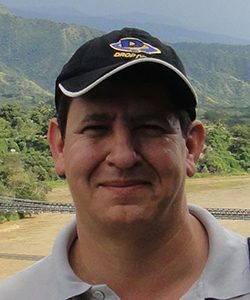 His Research focuses on the integration of DNA barcode data and classical taxonomic hypotheses about biodiversity, with the results being used to address both basic and applied research questions, including the role of molecular species recognition in support of food safety and food security objectives. Axel Hausmann is curator of the collection of 11M Lepidoptera at the Bavarian State Collection of Zoology (ZSM), Munich, Germany, since 2012 head of the Entomology Dept.. His research focus is on moth systematics (Geometridae), biodiversity research, coordination of global DNA Barcoding projects, German delegate in the ISCC committee of iBOL. 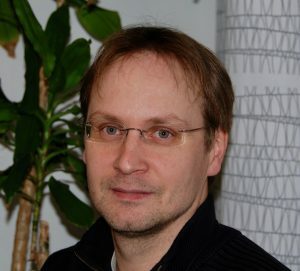 He is first author and co-author of several major DNA Barcode data release publications with analyses of Barcode patterns and BIN species delineation. 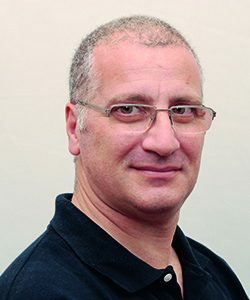 He leads the research initiative “Forum Herbulot”, he is author and editor of the two book series “The Geometrid Moths of Europe”, “The Lepidoptera of Israel” and published ca. 400 papers in scientific journals. Paul Hebert is a Canada Research Chair and Director of the Centre for Biodiversity Genomics at the University of Guelph. For the past two decades, his research has focused on the development of DNA-based identification systems, work that is clarifying the number and distributional patterns of species while revealing their interactions. 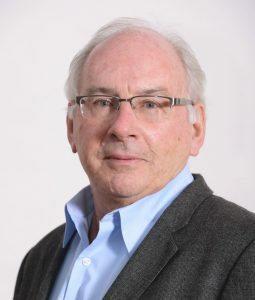 He led the Canadian Barcode of Life Network from 2005 to 2010 and has served as Scientific Director of the International Barcode of Life consortium since this time. He has trained more than 100 graduate students and postdoctoral fellows, and has published 460 papers that have received >60,000 citations. 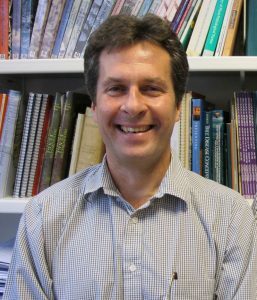 Ian Hogg is Team Lead of Ecosystem and Cryosphere Research at Polar Knowledge Canada and Adjunct Professor at the Universities of Guelph (Canada), Waikato (New Zealand) and Pretoria (South Africa). His research interests focus on aquatic ecology (freshwater and marine) and Antarctic/Arctic terrestrial biology. He is particularly interested in monitoring species diversity in response to global climate changes. 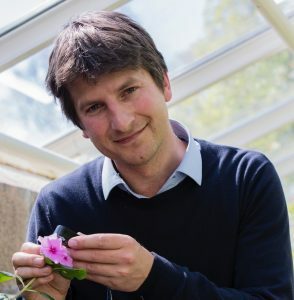 Pete Hollingsworth is Director of Science and Deputy Keeper at the Royal Botanic Garden Edinburgh. His research focuses on biodiversity genetics and biodiversity genomics and he has a particular interest in the use of DNA sequence data to discriminate among plant species. Scott Miller is Deputy Under Secretary at the Smithsonian Institution overseeing Science, Collections, and Interdisciplinary Support, and previously held leadership positions at the National Zoological Park, the National Museum of Natural History, the International Centre of Insect Physiology and Ecology in Nairobi, Kenya, and the Bishop Museum in Honolulu, Hawaii. He helped establish and lead the Consortium for the Barcode of Life—an international network that worked closely with the Canadian Centre for DNA Barcoding in developing DNA-based identification tools to make biodiversity information more widely available and in promoting DNA Barcoding applications in many fields including agricultural pests, ecological monitoring, and wildlife forensics. He also maintains an active collaborative research program that uses DNA barcoding as a backbone to link museum collections and taxonomic information to specimens from ecological field surveys, focusing on the ecology and systematics of herbivorous insects (especially moths), their host plants, and their parasites, primarily in Papua New Guinea and Kenya, with the ultimate goal of understanding how patterns of diversity have been generated and are maintained. Marko Mutanen is working as a senior curator in the Zoological museum and Department of Genetics and Physiology, University of Oulu, Finland. He is an expert of North European lepidopteran (butterflies and moths) diversity. His research group focusses studying molecular phylogenomics and molecular taxonomy of insects and arachnids. He is particularly interested in the potential of high-throughput sequencing methods in resolving issues around species identification and delimitation. Currently, his group investigates the potential of ddRAD-sequencing methods in elucidating diversification patterns of diverse animal radiations, and they develop genomic methods for species delimitation of taxonomically problematic groups and allopatric populations. He is also coordinating DNA barcoding activities in Finland (FinBOL) and his group is actively studying various questions of DNA barcoding as well. Claudio de Oliveira is PhD in Biological Sciences (Biology-Genetics) from the University of Sao Paulo in 1991. He is a professor at the Universidade Estadual Paulista Julio de Mesquita Filho since 1989 where currently holds the position of Full Professor. He is also an Associate Research of the National Museum of Natural History, Smithsonian Institute. Acts as reviewer of many foundations and journals and is associate editor of the areas of Genetics and Molecular Biology of Neotropical Ichthyology journal of the Brazilian Society of Ichthyology. He has published over 300 scientific papers, 7 book chapters and one book. Works in several graduate courses in Cell and Molecular Biology and graduate programs in the fields of Genetics and Zoology. Conducts research in Genetics, Cytogenetics, DNA barcoding, Systematics, Taxonomy and Fish Evolution. Sujeevan Ratnasingham is Associate Director (Informatics) of the Centre for Biodiversity Genomics, University of Guelph and the Chief Architect of the BOLD (www.boldsystems.org) and mBRAVE (www.mbrave.net) platforms. 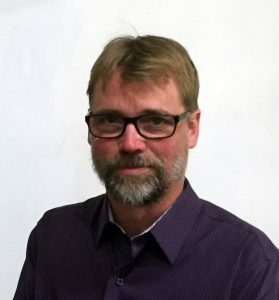 He has a background in Computer Science from the University of Guelph with a focus on high performance computing and database analysis. His research focuses on machine learning approaches to high-volume DNA sequence and biodiversity data analysis, most notably with the development of the BIN system, an framework to standardize and centralize the generation of molecular OTUs. 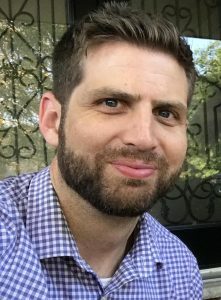 He joined the Hebert lab in 2003 as one of the first researchers focused on DNA barcoding, providing bioinformatics support in the assessment of single gene markers to delineate animal species. His contribution to DNA barcoding has continued since then with the development and expansion of BOLD and mBRAVE, development of high-throughput barcoding methods, and involvement in the selection and standardization of barcoding markers. 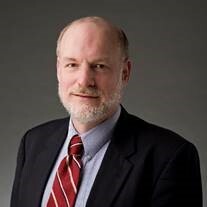 As a member of the CBOL Database Working Group, CBOL Implementation Board, and co-chair of the iBOL Informatics Working Group, he has been heavily involved with the establishment of data standards and expansion of the barcoding community. 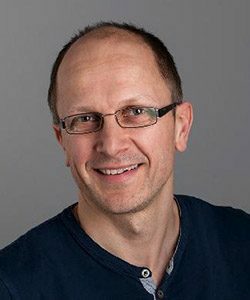 Tomas Roslin is professor of insect ecology at the Swedish University of Agricultural Sciences in Uppsala, Sweden. 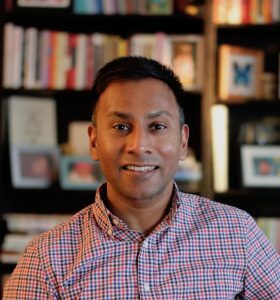 His research focuses on patterns and mechanisms in community organization. To this aim, he has taken a dual approach, by generating detailed data points on community organization at single latitudes and general analyses of biotic patterns across latitudes. He has harnessed DNA barcodes to resolve both the nodes and the links of ecological communities, targeting both antagonistic and mutualistic ecological interactions. Using a high-arctic model system, he has shown how DNA barcodes upset our perception of food web structure and allow us to identify species key to ecosystem functioning. As a consistent approach to tackling big questions in ecology, he has used crowdsourcing, participatory science and distributed experiments. Rodolphe Rougerie is assistant professor and curator for Lepidoptera at the Muséum national d’Histoire naturelle in Paris, France. His research activities are directed toward documenting and understanding the outstanding diversity of terrestrial invertebrates on Earth, with a main focus on Lepidoptera (moths and butterflies). He has a special interest for the systematics, evolutionary history and macroecology of two emblematic families: Saturniidae (Wild Silkmoths) and Sphingidae (Hawkmoths). Rougerie is one of the coordinators of the DNA barcoding campaign for Lepidoptera and the leader of two global campaigns for the Saturniidae and Sphingidae whose DNA barcode libraries are nearly comprehensive for the world fauna (ca. 5000 species and subspecies). Through multiple national and international collaborations his DNA barcoding activities also extend to other taxa (e.g. Coleoptera, Oligochaeta) and to invertebrate communities for addressing ecological questions in temperate and tropical regions where he also applies DNA metabarcoding approaches. Hans K. Stenøien is a professor of biosystematics at the NTNU University Museum in Trondheim, where is leader of the Systematics and Evolution Group. He is mainly working on Sphagnum (peat moss) systematics and population genetics, as well as peatland biodiversity and ecosystem services. He is also involved in work related to analyses of ancient DNA and population genomics of human populations. 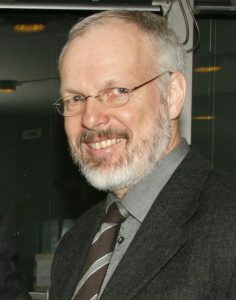 Stenøien is one of the co-founders of the Scandinavian Research School in Biosystematics – ForBio. 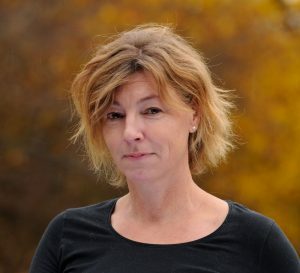 Malin Strand is an Assistant Professor in Systematics and Biodiversity at the Swedish Species Information Centre, Swedish University of Agricultural Sciences. She earned her PhD in marine biology at the University of Gothenburg and has key focus on marine invertebrate diversity and species delimitation. 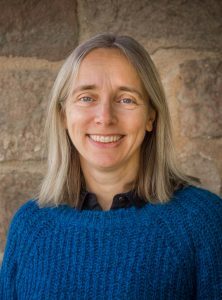 She is involved in the steering committee of the network Swedish Barcode of Life and active within the Swedish Taxonomy Initiative. Part of her work is dedicated to international, national, regional and inter-institutional cooperation in the field of DNA technology for biodiversity science and she coordinates several applied studies focusing on monitoring aquatic systems (natural diversity or alien species). Currently active in the EU Cost Action DNAqua-net. Elisabeth Stur has her PhD from Ludwig Maximillians University in Munich, Germany, and has lived in Norway for the last 18 years. She is currently employed as biodiversity researcher at the NTNU University Museum, and is the local coordinator of the Research School in Biosystematics (ForBio). She has the longest experience with systematics and biogeography of Chironomidae (Diptera), but also has projects on biting midges (Ceratopogonidae) and freshwater mites. Her research is thus focused on freshwater ecosystems, particularly with regard to Chironomidae. 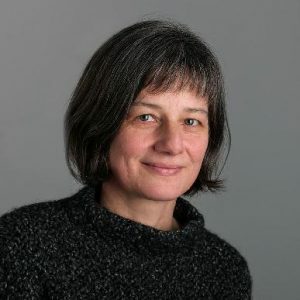 Elisabeth Stur has been an active participant of the barcode community since its very start and collaborates in several projects focused on DNA barcoding and metabarcoding of freshwater invertebrates. Pablo L. Tubaro is a Principal Researcher at the National Research Council of Argentina (CONICET), Curator of Birds and Director of the National Museum of Natural Sciences of that country (MACN). Since 2004 he has been involved in DNA barcoding and served as a member of the International Scientific Cooperation Committee of the iBOL project and Chair of the Steering Committee of the All Birds Barcoding Initiative. He has taught behavioral ecology, systematics and evolution of vertebrates at the University of Buenos Aires for more than 25 years. His main research interest deals with the evolutionary biology of birds including: 1) systematics and phylogeography of Neotropical birds, 2) hybridization and speciation, and 3) comparative studies about the evolution of morphological and behavioral traits. Martha Valdez is a researcher at El Colegio de la Frontera Sur, Chetumal unit, where her primary focus of research is taxonomic studies on freshwater and marine fishes, in particular from the Yucatan Peninsula. She is a biologist from the Facultad de Estudios Superiores Iztacala (National Autonomous University of Mexico, UNAM). She obtained her Master degree in the acultad de Ciencias (UNAM) and her Doctoral degree from the Universidad Autónoma de Nuevo Leon, Mexico. 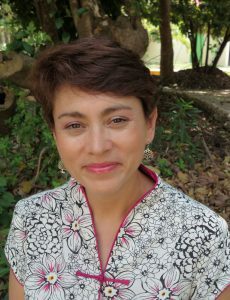 In 2010 she received the best research article and 2013 she was recognized as the best academic woman in the state for the Council of Science, Quintana Roo. The last few years she has been involved in various projects using DNA barcoding in biosystematics and Barcoding applications. 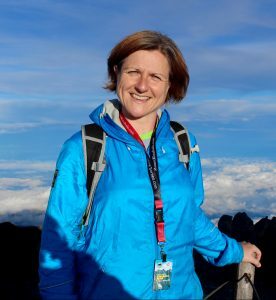 Dr Natasha de Vere is Head of Science at the National Botanic Garden of Wales and a Senior Lecturer at the Institute of Biological, Environmental and Rural Sciences at Aberystwyth University. She has been responsible for the science programme at the Botanic Garden for the last ten years. A major achievement during this time was leading the team that made Wales the first nation in the world to DNA barcode its native flora. This has resulted in her working on a wide variety of projects, both nationally and internationally, that use DNA barcoding. These range from monitoring pollen for hayfever sufferers to fighting wildlife crime. A key focus of Natasha’s research is using DNA metabarcoding to understand foraging preferences of both wild pollinators and honeybees. This research aims to develop conservation solutions that help to address pollinator declines. Natasha is passionate about public engagement with science and regularly presents her research on television and radio. A particular passion is using art-science projects to engage and develop a wide audience with scientific ideas. Jeremy deWaard received his PhD from the University of British Columbia before he took up his current position as Associate Director of Collections at the Centre for Biodiversity Genomics (CBG) at the University of Guelph. He is responsible for leading a team of twenty staff and students, managing a natural history collection of over three million animal specimens, and overseeing all operations and research initiatives linked to the acquisition and processing of specimens for DNA barcode analysis. His research focuses on ecosystem monitoring, biosurveillance, and the systematics of various terrestrial arthropod groups, particularly macro moths. He is an Instructor and Adjunct Professor at the University of Guelph, an Editor for the journals Molecular Ecology and Molecular Ecology Resources, a member of the Committee on the Status of Endangered Wildlife in Canada, and a Research Associate at the Royal British Columbia Museum and Smithsonian Institution’s National Museum of Natural History. Xin Zhou received his PhD in Entomology at Rutgers University, USA. He worked as a postdoc researcher at the Biodiversity Institute of Ontario, University of Guelph, Canada. Before joining China Agricultural University as a full professor in Entomology, Zhou worked at the BGI for 6 years, as the Executive Director of the China National GeneBank. 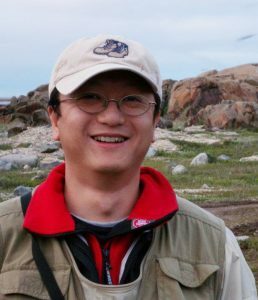 Zhou is also a Research Associate of the Zoological Research Museum Alexander Koenig, Bonn, Germany and a member of the Advisory Board of the Birmingham Institute of Forest Research, University of Birmingham, UK. Zhou and collaborators initiated the Trichoptera Barcode of Life project, which now has barcode coverage for nearly 1/3 of known caddisfly species (15,000 globally), covering all extant families and 2/3 genera. This collaborative project contains barcode references for many common caddisfly species of the world, facilitating species identification where morphology proves difficult (immature, female). As part of the integrative evidence, DNA barcodes have revealed many cases of cryptic diversity in Trichoptera and accelerated larval identifications and descriptions. Zhou’s group has also been developing new methodologies based on high-throughput sequencing and bioinformatics, with a goal to characterize biodiversity in a rapid, accurate, and cost-effective way. In particular, they have made breakthroughs in applying mitochondrial metagenomics using a PCR-free approach, which effectively reduces taxonomic biases introduced by target gene amplifications and creates potentials to evaluate relative abundance from bulk insect samples.